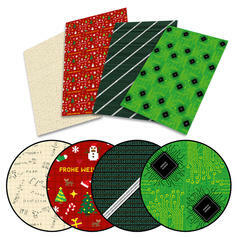 The golden sparkling soldering pads on green background together with the golden clock hands are great for all geeky homes. Made out of a used circuit board. 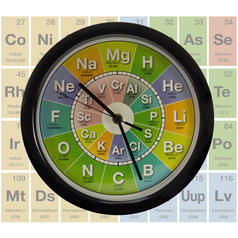 This Circuit Board Clock is the proof that geeky stuff can be stylish. The golden sparkling soldering pads on green background together with the golden clock hands are a perfect match - simple and extraordinary at the same time. 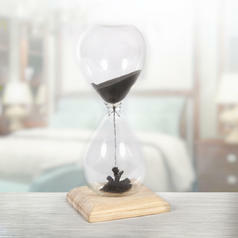 Additionally, the special visual appearance of the circuit board is not disturbed by the clock face. 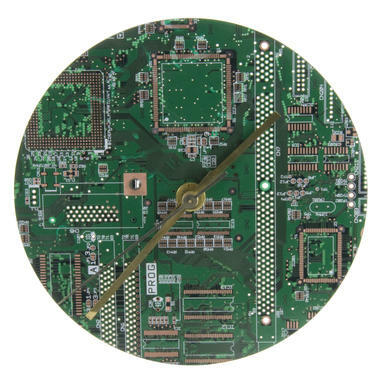 The Circuit Board Clock is a recycled product. It is made out of used circuit board, so all clocks are unique! 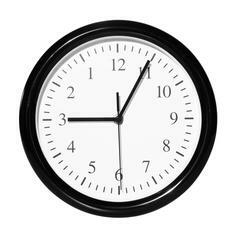 The clock has a diameter of 15.5cm. On the back is a hook to affix the clock on a wall. 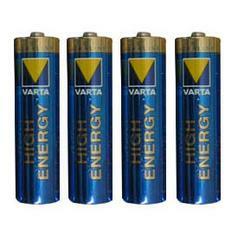 One AA battery is needed, which is not included in the delivery. 103 SEK lade... 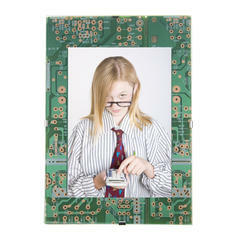 Circuit Board Picture Frame Frame your pictures in a geeky way with a piece of recycled circuit board! from 52 SEK lade... 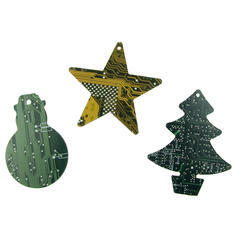 Circuit Board Christmas Decoration This set of Christmas pendants is made from environmental-friendly recycled circuit board. 41 SEK lade... 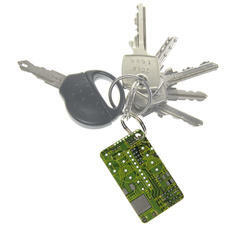 Circuit Board Keychain These keychains are made of old circuit boards - geeky and environmentally friendly. from 62 SEK lade... 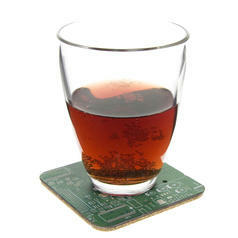 Circuit Board Coasters These coasters for glasses are made of used circuit boards - geeky and environmental-friendly.